The Congress screening committee went on till late evening. The Maharashtra unit of the Congress held its screening committee meeting on Monday. 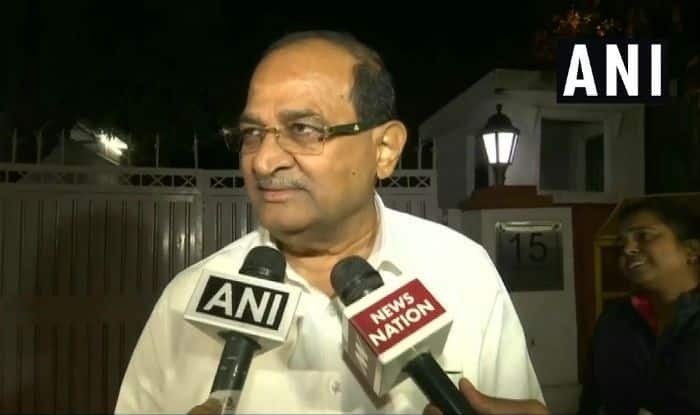 Late in the evening, once the meeting was over, party leader Radhakrishna Vikhe-Patil reiterated that there was no question of talks with the MNS. However, he confirmed, the Congress had held talks with the Vanchit Bahujan Aghadi, the CPM and the Swabhimani Shetkari Sanghtana. “We have had talks with Prakash Ambedkar a few times. They have demanded that the RSS need to be brought under law boundation, We’re ready for that and have requested them to send us a draft.” he said. There’s unrest within the party with leader Ulhas Pawar writing to party president Rahul Gandhi over the “critical condition” of the state unit. In his letter last week, Pawar reportedly told Rahul that there was no unity among the leaders in the state and there was no coordination between party workers and senior leaders. This comes days after the BJP officially announced an alliance with Shiv Sena in the state ahead of the Lok Sabha elections.